The EGCE laboratory (Evolution, Genomes, Behavior and Ecology) is under the control of 3 bodies: University Paris-Sud, National Center for Scientific Research (CNRS) and Research Institute for Development (IRD). EGCE is composed of scientists from these research bodies and also from University Paris Diderot (Paris 7), University Pierre et Marie Curie (Paris 6), University Versailles-Saint-Quentin and AgroParisTech. EGCE belongs to the IDEEV Research federation and to several networks of laboratories, providing the opportunity for exchanging ideas and for collaboration. Through the professors and lecturers attached from various universities, it has access to an extensive pool of students. – CNRS: National Center for Scientific Research. 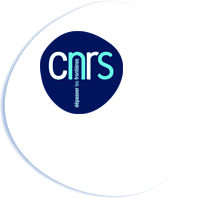 CNRS is a public research organization, which is responsible to the Ministry for Higher Education and Research. CNRS carries out research and publishes the results. CNRS comprises 10 specialist institutes. LEGS is managed by the Institute for Ecology and Environment (INEE), directed by F. Gaill, and by the Institute of Biological Science (INSB), directed by P. Netter. M. Hossaert, Deputy Scientific Director within INEE, is in charge of LEGS. INEE undertakes basic research into global ecology. This is carried out by a network of research units working in the fields of ecology and environment, including biodiversity, evolution and the interactions between human beings and their environment. INEE encourages research (for example, interdisciplinary programs and grants), supports research (major investments) and provides expertise. INSB supports biological research focusing on the diversity of the living world, ranging from atoms to biomolecules and from cells to complete organisms and populations. The work of CNRS is evaluated in 40 themes. LEGS is evaluated under theme 29 whose president is M. Hossaert-McKey and to a lesser extent under themes 26 and 22. – IRD: Research Institute for Development. IRD is a public organization responsible to the Ministry for Higher Education and Research and the Ministry for Cooperation. Its missions are to carry out research in collaboration with developing countries on issues of current interest, such as climate change, emerging diseases, biodiversity, water access, migration, poverty and world hunger, and to contribute through education to the strengthening of scientific communities in developing countries. IRD is divided into three scientific departments. The IRD072 unit associated with LEGS is managed by the Living Resources Department. This department, directed by B. Dreyfus, is in charge of research aiming to ensuring the viability of ecosystems and their uses through appropriate management to meeting sustainable development requirements. – UPS: Paris 11 University is the largest university campus in France. It is spread over five sites and specializes in Sciences, Medical Sciences, Pharmacy and Law. Research has a high profile in UPS which has 122 research units. The Science Faculty is at Orsay. There are close links between CNRS at Gif-sur-Yvette and the Orsay site with secondments and collaborative networks. – Paris 7: Pluridisciplinary university. Its fields of education range from language and human sciences to exact sciences and health science. 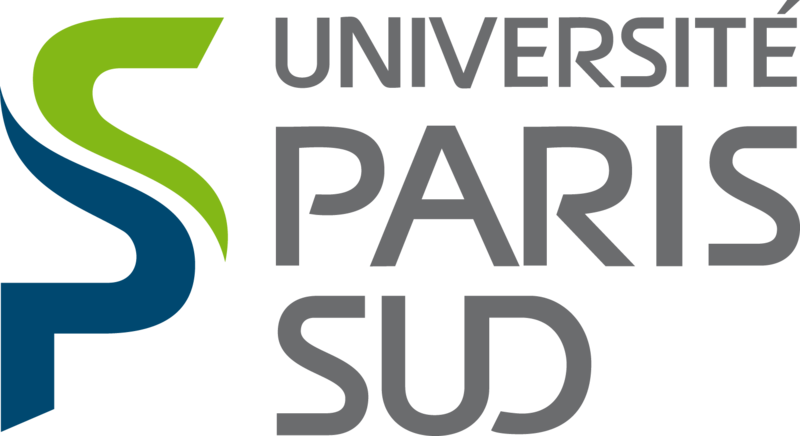 – Paris 6: Leading French university in the fields of exact science and medical science with 120 research units in 33 locations. – UVSQ: Versailles-Saint-Quentin-en-Yvelines University . UVSQ is a pluridisciplinary university providing courses in exact sciences, social sciences, human sciences, law and political sciences, engineering and technology and medical sciences. It has branches in several towns around Saint-Quentin-en-Yvelines. – IDEEV: Institute of Diversity, Ecology and Evolution of the Living. IDEEV was created in 2010 and, for the time being, is an Institute without walls. Founder organizations are LEGS (CNRS-UPR 9034), the IRD072 unit partner of LEGS, the Ecology, Systematics, Evolution laboratory of Paris South 11 University (ESE, CNRS-UMR 8079) and the Moulon Plant Genetics Unit (UMR 8120). Several other research units located on the Gif sur Yvette and Orsay sites have joined the Institute. The director of IDEEV is Pierre Capy. IDEEV brought together several laboratories on the Gif sur Yvette and Orsay sites. About 250 scientists were working on the theme of evolution. Approaches were highly diverse, ranging from genetics to ecosystems, as were the types of organism studied (from bacteria and archaea to human). IDEEV took over from Evo-Sud (http://www.evosud.u-psud.fr/index.php) which was created 3 years before. Its purpose is to promote synergy between the laboratories. Organizations that wish to join the IDEEV should contact its director, P. Capy. – GDR 2153: Multipartner interactions for insect populations and communities insects. Director: Fabrice Vavre. – GDR 2157: Mobile genetic elements: from mecanism to populations, an integrative approach . Director: Jean-Marc Deragon. The teams in this research group study all the currently known transposable elements in organisms belonging to various groups (bacteria, fungi, plants, ciliates, insects and vertebrates). They follow a wide variety of approaches, from the details of transposition mechanisms to the evolution and dynamics of transposable elements. This provides a wide overview based on genetic, population and ecological data. – GDR 2827: Chemical Ecology. Director: M. Hossaert-Mckey. This group studies the effect of chemicals in the mediation of biotic interactions. This research group organizes and co-ordinates pluridisciplinary research teams in a network of competence. – GDR3047: Structural and Evolutionary Cytogenomics . Director: Gauthier Dobigny. Several different teams in different organizations have experts in cytogenomics. This research group was formed to create an administrative framework to encourage conceptual and technical communication between experts in this field. – GDR 3692 Group for Research in Environmental Genomics. It is led by Dominique Joly, Denis Faure, Jean-Christophe Simon, Line Le Gall, Guy Perrière and Damien Eveillard. Environmental Genomics covers knowledge on ecosystems and organisms acquired by methods based on high throughput sequencing (meta)bar-codes, (meta)transcriptomics et (meta)genomics. – International scientific cooperation programs on evolutionary biology of drosophiles (CNRS/Japan) and on sympatric adaptations in host-parasite systems (CNRS/Holland).